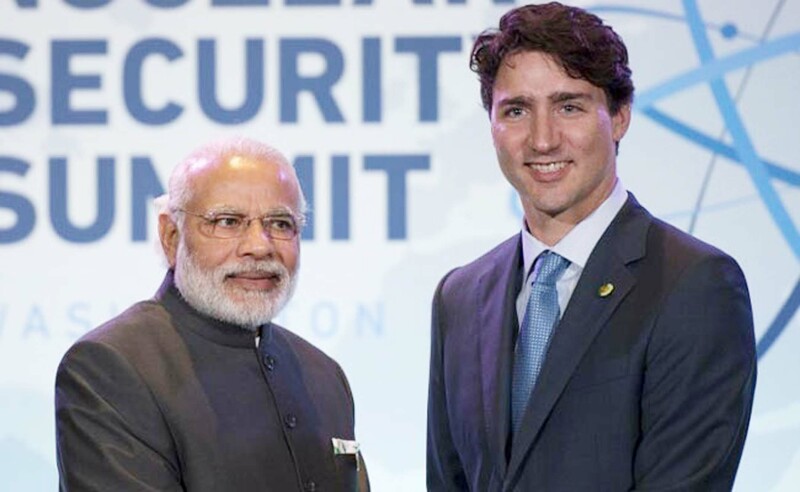 Amid Canadian Prime Minister Justin Trudeau’s India visit, India and Canada have signed a bilateral agreement to provide market access for startups from both countries. The programme has been sanctioned by both the governments and will be launched in India in partnership with Zone Startups India (ZSI), a private accelerator. In a related development, during the India-Canada Business Meet earlier today, Ottawa’s Carleton University and All India Council for Technical Education (AICTE) announced an international acceleration program to support 100 women led student tech startups. Under the bilateral agreement signed recently, both the governments will guide and support potential startups to grow over the next two years. Zone Startups India will identify 40 startups that can be eligible for the programme. The programme will focus especially on women entrepreneurs. To boost the support for selected startups pertaining to legal and operational aspects, both Canadian and Indian government will invest an undisclosed amount in Zone Startups India, under the aegis of the Canada-India Scientific and Technological Cooperation Agreement. While shedding more light on the programme, Ajay Ramasubramaniam, Director, Zone Startups India said that they will be looking for B2B and enterprise startups which are at an early stage but are ready for international launch. The selected startups will be mentored and connected with several corporates and investors while gaining access to the Canadian market along with the rest of the North American startup market, which is worth $19 Tn. The Canadian startups will attend a boot camp to understand the idea of doing business in India and the necessary approvals required for launching a business here. Zone Startups India said that the main goal of the agreement is to mutually benefit startups setting up their ventures in both markets and hire local talent to generate jobs in India and Canada. Zone Startups India had earlier launched empoWer to accelerate startups founded by women entrepreneurs. The company has completed five years of the Next BIG Idea Contest, which provides soft-landing for Indian startups in Toronto and as an extension, the North American market. Till date, 27 companies have benefited from this initiative, and some notable names include CitrusPay, Konotor, Shield Square, Maya App, AdSparx, Vidooly etc. On the eve of Canadian Prime Minister Justin Trudeau’s ongoing India visit, All India Council for Technical Education (AICTE), which is the statutory body for technical education under the Ministry of Human Resource Development, has partnered with Ottawa-based Carleton University to launch an international acceleration programme. The acceleration programme aims to support 100 women-led tech startups from both countries over a period of five years. As part of the initiative, selected startups will be offered the chance to explore the startup ecosystems in both India and Canada, with the goal of accessing innovative and emerging market opportunities. The announcement, which was made in the presence of Navdeep Bains, Minister of Innovation, Science and Economic Development, Canada, comes just over three months after AICTE and Carleton University signed an MoU to support and promote international collaborations between India and Canada, while designing collaborative programmes in the area of startup and innovation development in technical institutes and higher education. Both these developments are indicative of the growing collaboration between India and Canada to foster a culture of entrepreneurship and innovation. While the acceleration programme aims to offer support to women-led startups, through the latest bilateral agreement between India and Canada, Zone Startups India will be leading the charge to provide market access to the startups in both the countries.